Some of the Firefoxâ€™s popularity can be attributed to the number of add-ons available to pimp the browser. Google Chrome doesnâ€™t have a stable extensions capability yet but it is possible to install extensions, only thing is you need to run developer builds of Google Chrome browser. Developers are building extensions to the Google Chrome browser, although there are only handful of extensions at this time, if the extension support is well built into the Google Chrome browser then I am sure we will see valuable extensions to the platform. You need to download Google Chrome Developer build for the extensions to work. Now go to the extensions page and download the extensions and install them. For any reason if you donâ€™t like or donâ€™t use the extensions you can uninstall them easily. 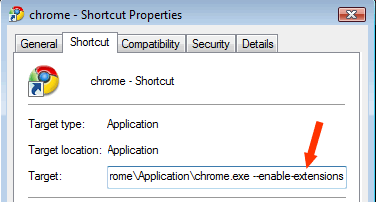 Enter chrome://extensions to the address bar you will see the list of installed extensions with uninstall buttons. Click on the uninstall button to uninstall any extension with ease. 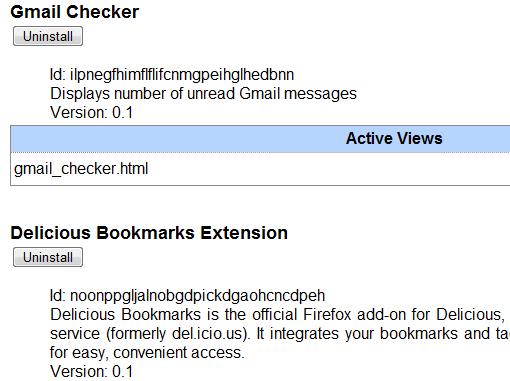 Download Google Chrome Dev Builds Check out sample extensions.